Apple's new MacBook Pro laptops are excellent gadgets that are unfortunately accompanied by proportionately steep MSRPs. MacBooks are also generally known for retaining said prices well after release, so seeing a discount on one is a relatively rare sighting. If you have the cash and intention to invest in the 15.4-inch MacBook Pro from 2018, you might find this B&H deal suitable for you. The MacBook Pro on sale is the entry-level 15.4-inch model. This setup costs $2,700 if you choose to purchase it from Apple's official store, and while B&H's asking price of $2,400 is still considerable, the $700 in savings are not something to neglect either. 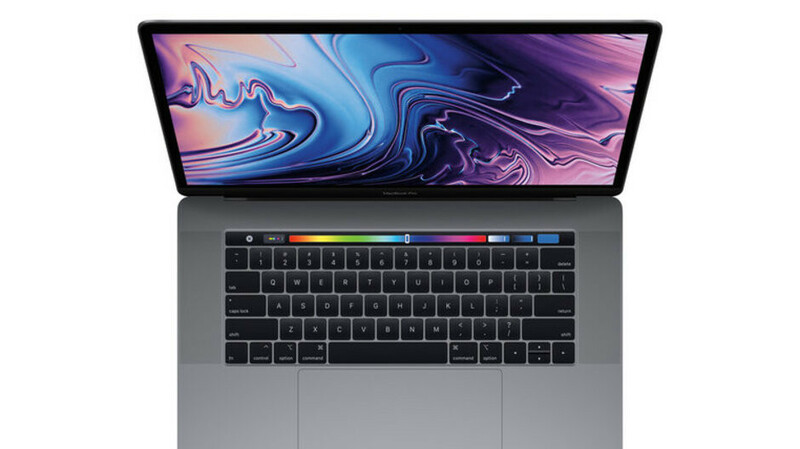 This Apple laptop features a 15.4" Retina display with a 2880 x 1800 resolution, the signature Touch Bar that adds a row of multitouch controls to the top of the keyboard, the top-end Intel Core i9 6‑core processor (2.9GHz can be boosted up to 4.8GHz), 32GB of DDR4 RAM, the Radeon Pro 560X GPU with 4GB of GDDR5 memory, and 2TB of SSD storage. If this deal interests you, feel free to follow the above link to B&H. The listing states that supplies are limited at this price, so it might be a good idea to act swiftly before the sale ends. Don’t buy it. Pretty simple. Save 3999 and not buy this at all. The discount is given by B&H, if you buy this one from Apple, it's still full price. So it's not Apple who goes full crazy with the pricing. Is this the one with the “stage light” screen problem? Ugh. I don’t like Windows, but Apple stuff has become so expensive and fragile. Maybe I’ll buy a slide rule. They always have been fragile and poor quality of engineering. But now that the equipment becomes thinner and thinner, it's hard to keep them reliable too. I have to disagree. I have an original iPhone that has been through a war, and it still works. I also have a still functioning iMac from 2005. Slow, unsupported, but still in one piece! MacBooks may be a different story. It’s been a while since I’ve had one. I was talking about their MacBooks indeed. From the outside, they look amazing, but the internals are a different story. PHONE Arena. Please stop with the TV and Laptop deals. Now that everyone knows about bendgate in Macbook pro, it goes on sale. Bendgate MacBook Pro? Don't you mean the iPad Pro? Buy i7 version instead, it's faster anyway. I am not even kidding, check newly released test... what a dumpster fire. I wonder where you lived for past 5+ years, if this you define as mind blowing.